In just one year in the 1870s newspaper stories revealed that people had been taken in by not one but two of the most audacious confidence tricks ever tried on an unsuspecting public. 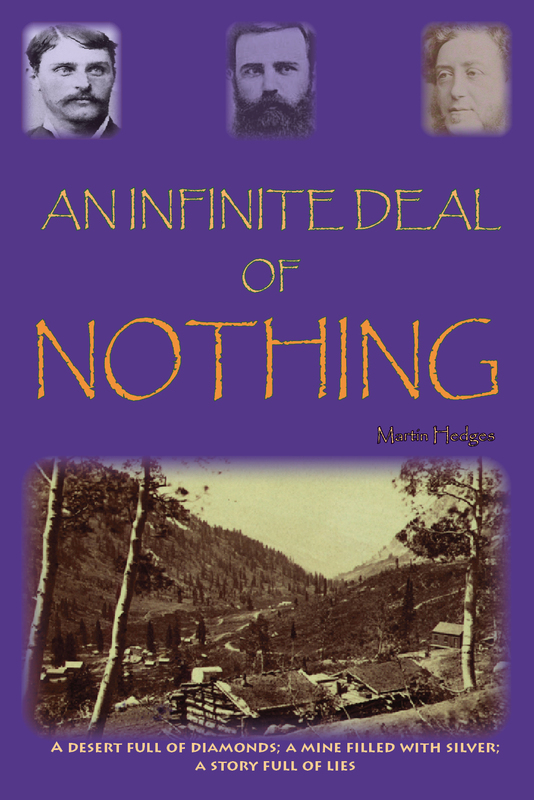 In his book, An Infinite Deal of Nothing, author and historian Martin Hedges tells how one trickster convinced the public of two continents that somewhere in American desert you could scoop diamonds out of the dirt. During the same year, an American rival followed him to London to try to seduce Britons out of their money. He claimed a silver mine he owned was the most productive in the world. But there were no diamonds. There was no silver. The diamonds scattered across the scrubland half way up a mountain were bought wholesale in London. The silver mine was ‘salted’ with ore glued to the walls of the mine. The two swindlers stood to take literally billions in today’s money. One failed — though he was only beaten by an unlucky meeting on a train and an unexpected change in the weather. The other fraudster made a killing, escaped the reach of British courts and entered history for a time as the fourth richest men in America. Neither was prosecuted, though evidence available at the time and gathered in this book would have convicted them both. Acton Books is an electronic imprint that focuses on 19th century social history. Its mission is to popularise stories of the past that resonate today and to bring them to interested but non-academic readers. Martin Hedges has had a career in business journalism on both sides of the Atlantic. His most recent publication recounts some of the many frauds and financial crashes of the 19th century. The Day They Hanged a Banker includes the story of a bad banker who really did suffer the ultimate punishment. Previous books by Martin Hedges include biographies of Andrew Carnegie, which gives a refreshing insight into the darker side of the saintly philanthropist and an analysis of the career of John D Rockefeller, that goes beyond the crude demonization of the oil magnate.